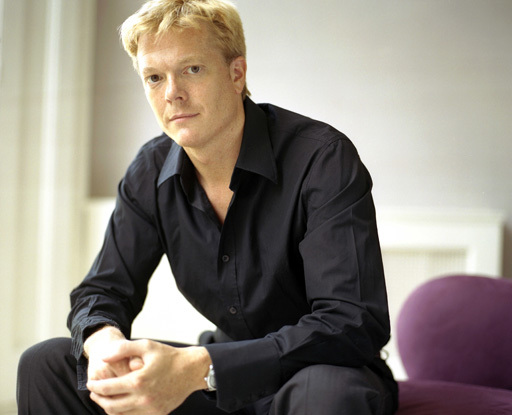 Toby Spence, a 43-year-old lyric tenor from England, had built a life around his voice. When he was diagnosed with thyroid cancer last year and had to undergo surgery near his vocal chords, he feared he would never sing again. WASHINGTON – When Toby Spence was diagnosed with thyroid cancer last year, his first response was denial. The 43-year-old lyric tenor from England had built a life around his voice. The diagnosis and the need for surgery meant the muscles near his vocal chords would have to be cut so the cancer in his throat could be removed. When he awoke after six hours of surgery and four hours of recovery, he discovered he had almost no voice at all. Nearly a year later, Spence will make his recital debut at the Kennedy Center Wednesday. The journey back from what Spence calls a dark despair was built around his rehabilitation and learning how to sing again. Spence says it was like being plunged down a mountain back to its base and then realizing how far he had climbed before. Luckily, David Pollard, the singing instructor who helped rehabilitate Spence’s voice last year, had worked with people who lost their voice in similar ways. Pollard used a two-pronged approach that focused on physical and psychological aspects of Spence’s recovery. He encouraged Spence to experiment with new, extreme sounds that Spence says were outside the envelope of his capabilities to help him rebuild his voice and the muscles that support it. But he also kept Spence calm.